A woman with more than 20 years of leadership experience within the work-based learning sector across the UK has been appointed the chief operating officer at one of Wales’ top training providers. 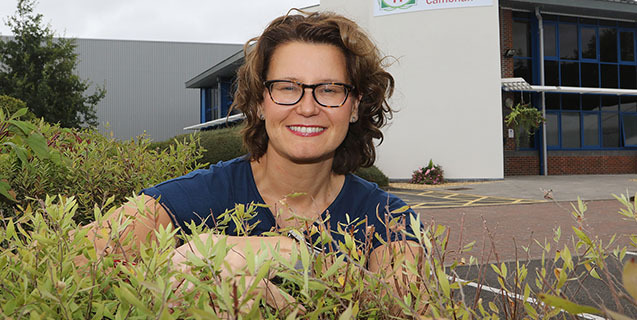 Faith O’Brien steps up from a consultancy role to the new position at Welshpool-based Cambrian Training Company, which has regional offices in Llanelli, Holyhead, Colwyn Bay and Builth Wells. The multi-award winning company specialises in the delivery of work-based apprenticeships, Jobs Growth Wales and employability opportunities across a range of industries pan-Wales. Its core business is in the food and drink and catering and hospitality industries. After graduating with a degree in medical biochemistry, Faith has spent her career working with respective governments across the UK managing work-based learning and employability contracts. Speaking about her new part-time role, she said: “Cambrian Training Company is an organisation that I am excited and proud to work for. It has a great ethos and culture, putting staff, learners and employers at the forefront of delivery. Cambrian Training Company’s managing director Arwyn Watkins said: “We are absolutely delighted to have secured Faith’s expertise, knowledge and technical ability. She is a professional well known and respected throughout the work-based learning sector and a huge asset.